Scattered thunderstorms this evening. A steady rain arriving overnight. Low around 60F. Winds light and variable. Chance of rain 70%.. Scattered thunderstorms this evening. A steady rain arriving overnight. Low around 60F. Winds light and variable. Chance of rain 70%. Summer Bridge pals (from left) Jordan Smith, Jashawn Banks, Gabrielle Wilson and Catherine Salas share a smile. Gladys P. Todd Summer Bridge program participants gather for a group shot before heading off on a field trip. Germanna Community College President David A. Sam gazed out at an auditorium jam-packed with students, parents and educators. The 60 newly minted graduates of the Gladys P. Todd Academy’s Summer Bridge program sat up front. They had just spent two weeks learning more about the rigors of college coursework through lectures, projects and field trips that culminated in a final presentation and skit. The academy, which launches this fall, honors Todd, the Fredericksburg-area education and civil rights proponent who died Jan. 20 at age 101. The academy and summer program stem from a partnership between Germanna, Fredericksburg City Schools, Spotsylvania County Public Schools and philanthropist Doris Buffett’s Sunshine Lady Foundation. The academy’s early college program—which will bring students to Germanna on weekdays for two classes—will allow eligible students to earn an associate’s degree in general studies by the time they graduate from high school. Students won’t pay a dime for the approximately $25,000 opportunity, thanks to a $2 million grant from the Sunshine Lady Foundation. Sam, a first-generation college student who went on to earn his Ph.D., shared stories about the influence family members and educators had on his life. 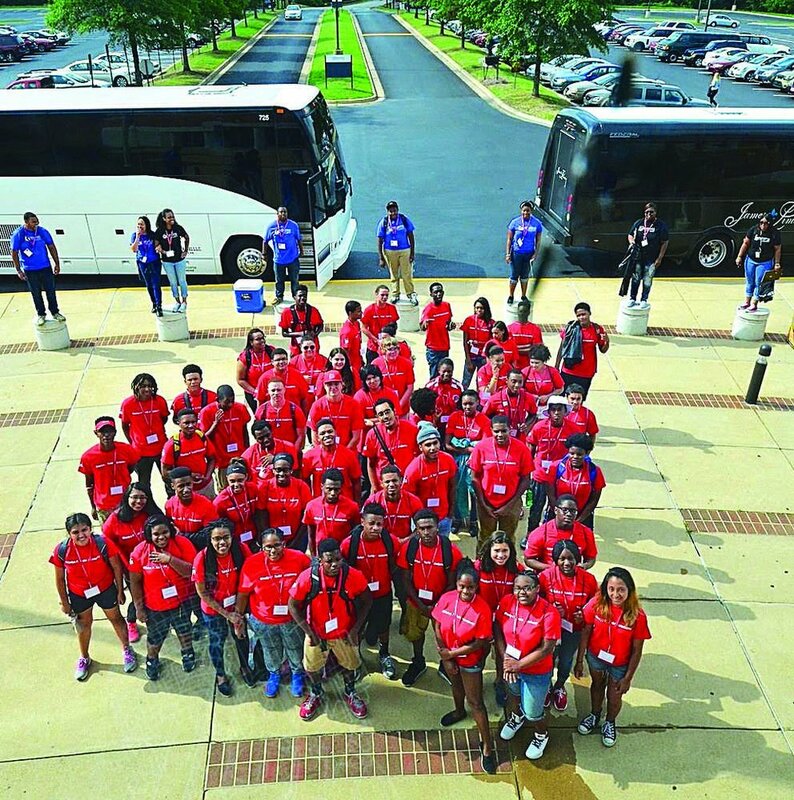 The summer program was open to students from four schools—Post Oak Middle and Spotsylvania High in Spotsylvania County, and Walker–Grant Middle and James Monroe High in Fredericksburg. It provided a “bridge” to higher education for students, many of whom will be the first in their families to attend college. The program was marketed by word of mouth and by mail, causing some students to think twice about participating. Rising junior Alexander Washington said he decided to participate in the program after realizing “all the amazing opportunities” it could hold for his future. Hodges said that in addition to friendships, the summer program taught her to not only be a leader, but to be perceived as one. Students at James Monroe and Spotsylvania high schools may qualify for this early college program through Germanna Community College, in partnership with The Sunshine Lady Foundation. Contact Project Director Antwan Perry at aperry@germanna.edu or 540/891-3069 for more information about the program.